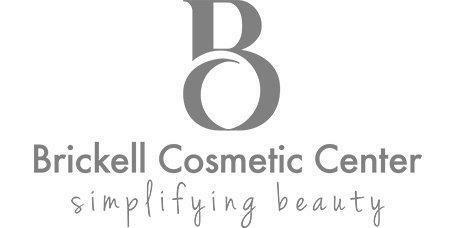 "I love Brickell Cosmetic Center and Spa! I HIGHLY recommend this facility. I've been coming here for over a year now and you will definitely see results!" Professionalism, discretion, kindness and state of the art equipment. Well educated staff and excellent customer service from the time the appointment is made..."
"The staff is very knowledge and make you feel very comfortable during the treatments, they are very friendly and the venue is very clean and comfortable." "Overall an amazing experience! I went to get a microdermabrasion facial for the first time. I left feeling rejuvenated and my skin looks amazing!" "I've always been satisfied with the treatments. After the Clear and Brilliant laser on my face, my skin is soft, my pores are reduced... Thank you to best spa." "Staff is very good and service oriented. I was under the care of Elizabeth. A true experienced professional. I will be back for sure and recommend their services." "The girls are amazing and the service is brilliant! Thank you so much for helping me with my complexion." "Friendly, knowledgeable staff. Arrived early, they took me right away, didn't have to wait. Instantly glowing skin, awaiting next day results." "I had an amazing experience. I had Dermapod treatment and my assigned aesthetician is excellent. She was very professional, knowledgeable, and meticulous." "Very pleasant experience. The specialists were polite, friendly, and demonstrated high levels of experience and professionalism." "They always have great customer service, very professional cosmetologists, with a wide range of services to choose from." "Love this place! They're doing an amazing job and are very cost effective. They have transformed my face skin only after two treatments." "Staff here are wonderful! Always so friendly, they welcome you with big smiles and make you feel very comfortable. Lumicell results are great - worth every second!" "You will never be disappointed with Brickell Cosmetic Center & Spa. I've had fantastic results with various facial and body treatments." "Organized, clean, state-of-the-art facility. Excellent service. Staff always welcome you with a smile. Great relaxing atmosphere. Superb treatments results." "I had the Jet Clear facial and Obagi peel from a Groupon I purchased with amazing results. My skin is smoother and has a glow that I haven't seen in forever." "Best microdermabrasion and service I've ever received! From the friendly staff, to the professionalism of the technicians, I'd recommend this center to anyone!" "The Beautician was knowledgable, friendly and professional. The oxygen facial and eye treatment worked well together and I will definitely be returning."